This welcoming and laid-back city is famous for Dutch masterpieces, tilting gabled architecture, UNESCO world canals, and more. 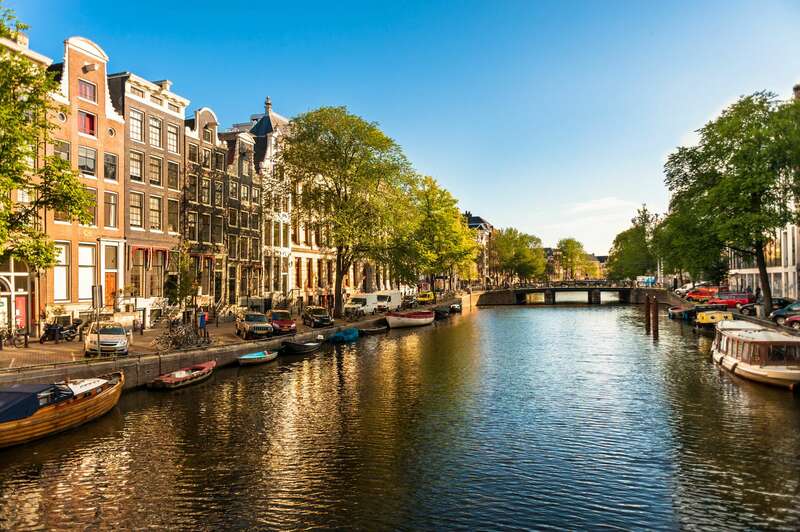 Amsterdam's canals and narrow houses offer echoes of its Golden Age in the 17th century, when explorers, investors, and traders led the city into a tremendous boom, and Dutch Old Masters painted the artworks that have captivated generations since. In more recent years, artists like van Gogh, immigrants, and social progressives have transformed Amsterdam into a forward-thinking and artistic metropolis. Immerse yourself in the glory of Amsterdam with Context's private and semi-private walking tours. With over 20 Ph.D.-level expert guides in the city, our Amsterdam private and guided tours are designed for culturally curious people who want to dive deeply into Dutch art, history, and architecture. Curious? Join our Rijksmuseum Tour with an art historian and discover this world-class museum. Or perhaps you would like to learn more about explorers and 17th-century trade on our Dutch Golden Age Tour. Or maybe you'd like to ponder a tortured genius on our Van Gogh Museum Tour. Another one of our popular Amsterdam private tours is our Jewish Amsterdam Tour, which visits the famous Portuguese Synagogue. We also run a Red Light District Tour, led by a social historian that looks widely at Dutch progressivism and the idea of Amsterdam as a "model city." If you're looking for an expert-led guided tour of Amsterdam, then we've probably got one that's right for you.